I can’t stop pinning polka dots. It’s becoming a complex. And it seems lately all my polka dot pins are white on white. Odd. And lovely! If your day could use a little sparkle, I think Colette Dinnigan’s spring/summer line has got you covered. Sequined silk makes everything better, doesn’t it? 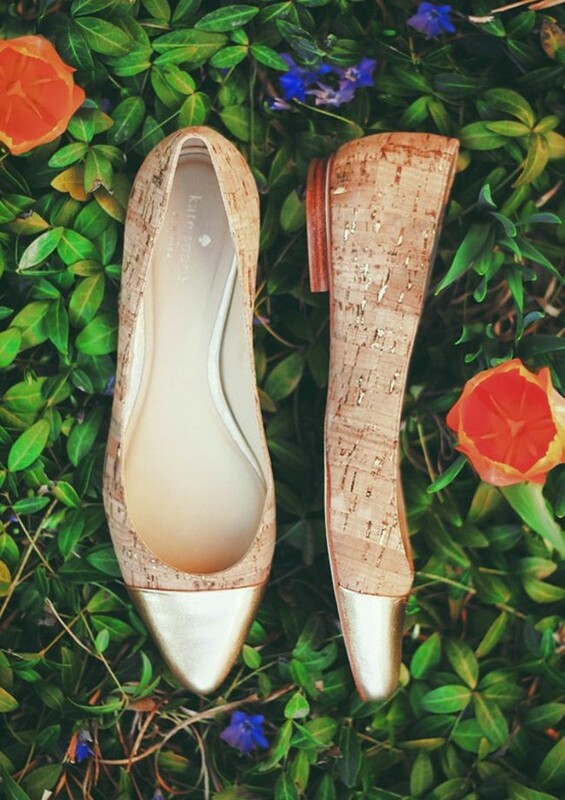 How adorable are these flats? They’d go with everything: bright capris, pastel skirts, jeans. Oh dear. I’m in love. Hello Hermes! 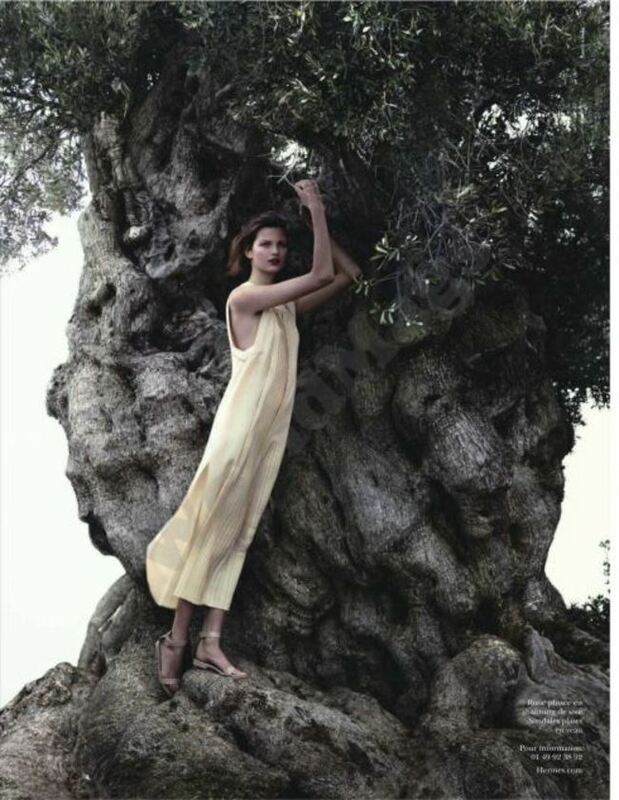 I am positively entranced by this ad campaign. I mean…that scarf! 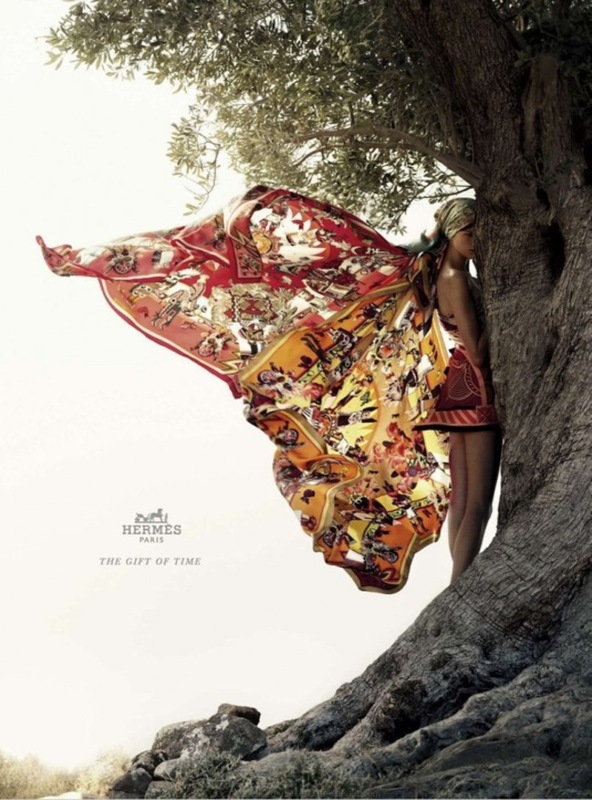 Hermes, you made me a believer. I’m usually crushing on big, chunky, gold boyfriend watches, but then – then! 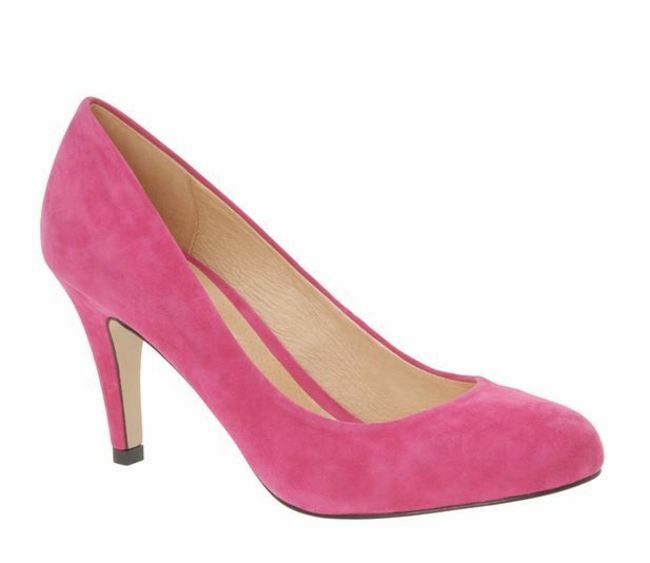 – Kate Spade came out with these! Ooooo. Aaaaaaah. The best part? They’re inscribed with happy-go-lucky idioms from “Tickled Pink” to “A Place in the Sun”. 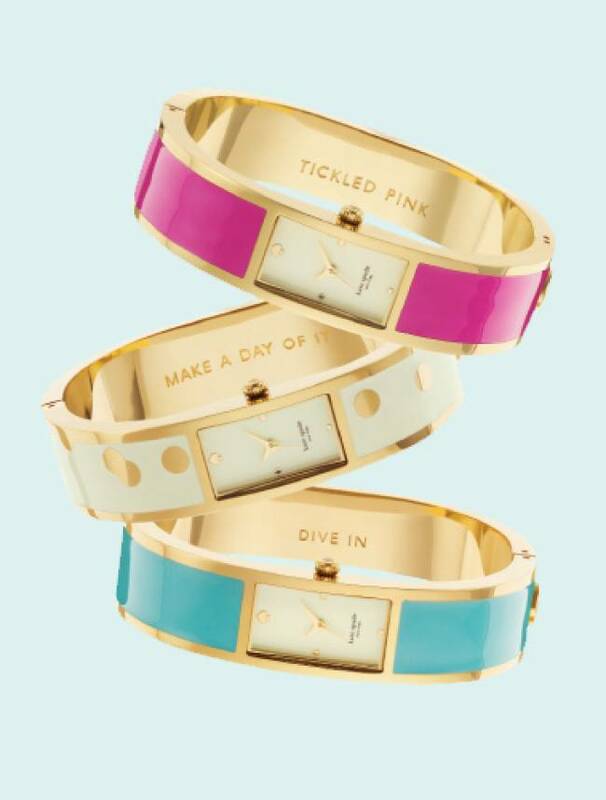 But my hands down favourite is the polka dot gold, “Make a Day of It.” Don’t mind if I do! I bought these shoes this weekend. Of course I bought these shoes. Look at them; they’re pink. Actually they’re more of a fuschia. But the point is they pack a punch. I think I’m in love. Have you seen the new Cartier ad? It makes a girl want diamonds somethin’ fierce. 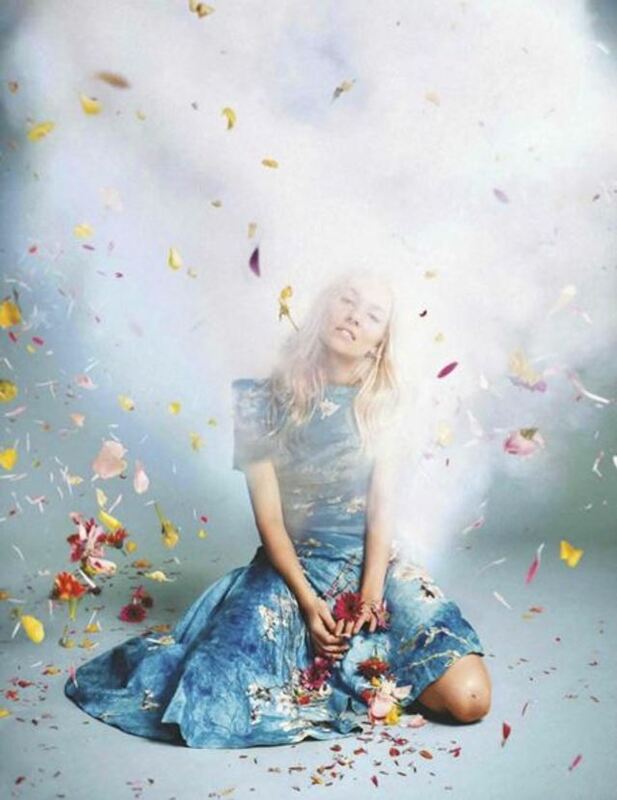 Kirsten Dunst looks like spring personified in the pages of Vogue Italia, doesn’t she? That blue dress is to die for!